Each of Wilmette’s seven commercial districts has its own unique identity to provide a distinctively different shopping experience. Public transportation and free street parking provide convenience and accessibility to shoppers and employees. Take a walk and explore our small town with big surprises! Located east of Green Bay Road and centered around the Metra Station, the Village Center is Wilmette’s central business district and home to many restaurants and specialty stores. The District extends the length of Wilmette along Green Bay Road which connects the North Shore communities. Heading east toward Lake Michigan is Linden Square which provides convenient shopping and services to neighborhood residents and Purple Line commuters. The Spanish inspired architecture of Plaza del Lago, makes it one of the North Shore’s most distinctive shopping centers. Plaza Del Lago is home to restaurants, retail and service businesses. The Ridge Road District is known as “Antique Row” for its number of quaint antique dealers. Edens Plaza, the Village’s largest shopping center is located in these districts. Most of the Village’s national retailers are located here. The number of specialty shops, restaurants and boutiques in the Village’s traditional business districts create a destination for those who appreciate the energy of a thriving, North Shore community. We look forward to your visit, both online and in person. 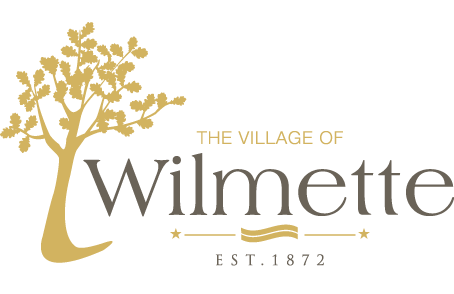 Please take a few minutes to view the businesses in Wilmette’s commercial districts by clicking here.